Published by William B. Gilley in 1821, “The Children’s Friend. Number III. 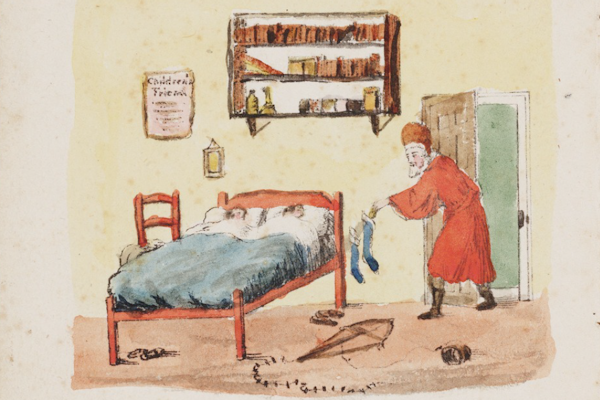 A New-Year’s Present to the Little Ones from Five to Twelve”, is believed to be the first book published in America to include lithographic illustrations. 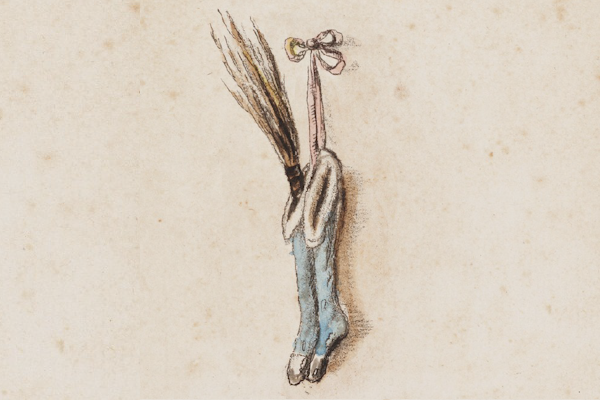 This book includes a poem about “Santeclaus” along with eight colored illustrations. 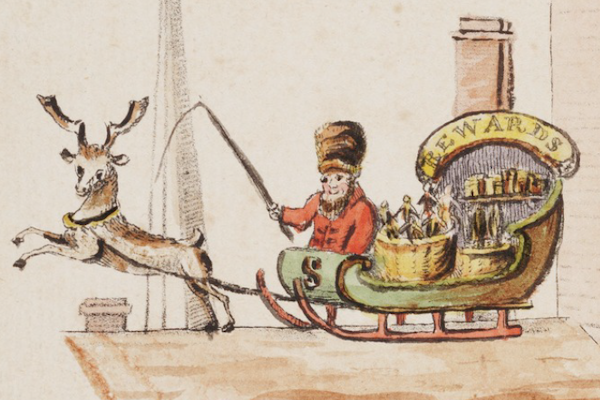 However, what makes this book significant is the poem and illustrations are thought to be the earliest known visual representation of Santa Claus in a sleigh pulled by reindeer. The poem also marks Santa’s first appearance on Christmas Day rather than December 6, the feast day of St. Nicholas. The Children’s Friend. Number III. His reindeer drives this frosty night. Others, that seem’d for pigs intended. This is like finding buried treasure! 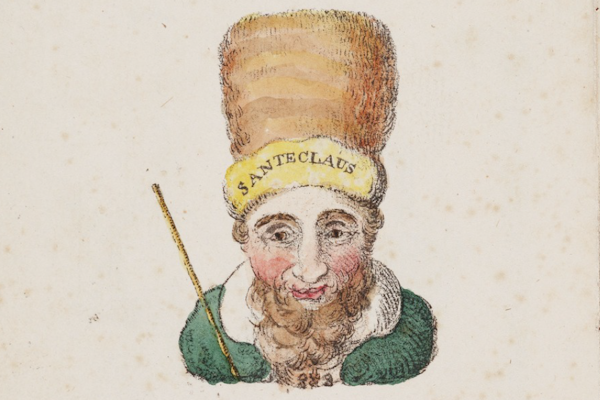 How interesting that the third lithograph differs from the other 2 in the depiction of Santeclaus with a long red coat and red fur hat. And he's leaving gifts for kids who share the same bed in the same bedroom. Thanks for posting this!